BANGUI, Central African Republic — By the time Vincent arrived at the hospital, he was so weak that he was unable to sit up on his own. His head looked huge atop his emaciated body. His skin looked paper thin over his protruding ribs. Vincent was still six months shy of his second birthday. He was so malnourished he could no longer eat. "The child's stomach is shutting down," Caryl Stern, the CEO of UNICEF USA, said as she maneuvered through the Bangui Paediatric Centre, the country's only children's hospital. The Central African Republic is now home to more than a million Vincents — a humanitarian crisis of epic scale that has largely gone unnoticed. With the world's attention fixed on conflicts in the Middle East and Asia, the Central African Republic has descended into chaos in recent years. A sectarian civil war pitting Muslim rebels against Christian militias has ravaged large swaths of the country, displaced more than 1 million people and claimed the lives of tens of thousands. Adding to its woes, this landlocked nation of 4.6 million people is now teetering on the brink of famine. An estimated 1.5 million children are at risk of starvation, aid groups say. And the lack of government institutions coupled with the tangled mass of warring factions have prompted fears that extremist organizations aligned with the Islamic State group could gain a foothold. "Right now, there are a lot of people who are benefiting more from war than they could gain from peace," David Brownstein, the U.S. chargé d'affairs in the Central African Republic, said. The threat of violence confronts visitors the moment they arrive at Bangui M'Poko International Airport. Soldiers, dressed in camouflage and armed with rifles, patrol the airstrip on foot and in pickup trucks. Charred vehicles linger on the outskirts of the road leading to and from the airport. NBC News was given access to an armored UNICEF vehicle but was told to refrain from taking pictures to avoid inflaming tensions. One of the armored trucks had a bullet hole in the front windshield, a chilling reminder of the dangers on the other side of the glass. Bangui is in fact the safest place in the country. Roughly 80 percent of the Central African Republic is roiled by the kind of unrelenting bloodshed that makes it perilous even for aid workers. The country recorded 396 attacks on humanitarian workers just last year. Some aid groups have since packed up and left. The government, backed by more than 14,000 United Nations peacekeepers, exerts control only in the capital and in small pockets elsewhere in the country, experts say. Going anywhere else by road leaves travelers exposed to attacks by marauding militia groups. The large swaths of territory outside Bangui don't just feel lawless; they are lawless. Some 14 different rebel groups control more than 75 percent of the country, which is roughly the size of Texas. Brownstein said the United States is particularly concerned about the potential of the Islamic State of Iraq and Syria, or ISIS, capitalizing on the instability to establish a presence in the region. "ISIS takes advantage of vacuums. Literal vacuums, security vacuums, governance vacuums, perceived moral vacuums," Brownstein said. "If they have somewhere else to go, that is ungoverned, or that is populated by people who are looking for champions, who feel that they are adrift in the world, and at a certain point they have no option but to cling to even a horrible champion, they can potentially move into CAR and we are simply shifting the problem." The current crisis traces back to late 2012 when a group of mostly Muslim fighters, known as the Seleka, rolled toward the capital, plundering villages along the way. The rebels seized Bangui and overthrew the government of President François Bozizé in a brutally efficient coup. In response, coalitions of Christian militias known as anti-balaka rose up to carry out reprisal attacks on Muslim civilians. The Selekas were ultimately forced out of the capital by French forces, but the bloodshed continued elsewhere in the country in attacks that largely targeted civilians. "For these armed groups, it's been their M.O. to attack civilians," Lewis Mudge, a senior researcher in the Africa division of Human Rights Watch, said. "They burn, ransack and destroy villages and towns." Now, Mudge added, the bulk of the militias are motivated more by profit than ideology. "The quickest way to collect bucks is to target the civilian population," he said. The U.S. provided almost $120 million in aid to the Central African Republic last year, making it the largest humanitarian donor. But other nations have developed an interest in the resource-rich African country, including Russia and China. The soil underneath the razed villages and scorched fields holds a wealth of gold, diamonds, uranium and oil. Close observers of the region say Russia in particular has gained a stunning level of clout inside the former French colony in just the past 13 months — supplying arms and soldiers, and seeing one of its own nationals installed as a special security adviser to President Faustin-Archange Touadéra. "Historically, France has always been the kingmaker," Mudge said. "But Russia's proximity to the president and sudden rise in the country has challenged that." The Central African Republic's government signed a peace deal with the 14 rebel groups last month, but few sections of the country have been experiencing anything resembling peace. As various nations vie for influence, the situation on the ground has only worsened. The escalating violence has forced increasing numbers of people to flee their homes and their crops, pushing the country closer to famine. The depth of the crisis is laid bare at the Bangui Paediatric Centre, a single-story building with 300 beds and a single ambulance. It's not uncommon for the facility to be so crowded with patients that as many as three sickly children are forced to share a single bed. "In the morning, when we have the staff meeting and they tell us no baby died overnight, we thank God," the hospital's head nurse, Anne Yadibert said. Down the hall from Vincent was a girl whose condition was even more dire. Colette, a 7-year-old orphan, weighed 28 pounds, roughly half that of a healthy person her age. She lay in her bed with bandages wrapped around her hands to prevent her from pulling out her feeding tube. It had been three weeks since she arrived at the hospital with her caretaker aunt. "I was afraid she might not survive," the nurse said. Like many other children here, it wasn't Colette's first time receiving treatment at the hospital. The statistics paint a particularly grim picture. The Central African Republic ranks last out of 119 countries, including Yemen, Syria and South Sudan, on the 2018 Global Hunger Index. More than 43,000 of its children below the age of 5 are expected to face an extremely high risk of death next year due to severe malnutrition, according to UNICEF. "This is the most dangerous place in the world for children," Stern said. Young people in the Central African Republic also face threats that go beyond the lack of access to food. In addition to mass displacement and widespread insecurity preventing many from attending school, children here face the prospect of being forced into a rebel militia. Six years ago, then-11 year-old Graciela Ouakabo was traveling to Bangui from a city in the southwest of the country when she was ambushed by an anti-balaka militia and forced to join the group. Ouakabo said she was given a machete, trained to fight, and pressured to drink and smoke with the rebels while working as a cook at their encampment. "They said I was lucky because I was a girl and they didn't want to harm us," recalled Ouakabo, now 17. "In that moment, I decided that I had to flee. To find my family, to leave this group, to abandon them." But mustering the strength and courage to leave the rebels behind wasn't easy. "I thought when I was in the forest that my life was already over. I will die here," Ouakabo added. "I would go rest at night and would pray and ask God to give me the strength to escape and rejoin my family." After about a year and half with the group, Ouakabo managed to escape, ultimately rejoining her sister and grandfather. Not all former child soldiers have been so fortunate. Once released, many children are rejected by their families. Girls can be particularly stigmatized, because of the sexual violence they face while with the armed groups, experts say. Jordan, 17, became a child soldier at 12. He had been traveling from Bangui to see his mother when he found her village in ruins, and discovered that she and other family members had been killed by the Seleka. With no money and no way to get back to Bangui safely, Jordan joined an anti-balaka group fighting the rebels who killed his relatives. When he got out two years later and tried to reunite with his family in Bangui, they rejected him. His family members, Jordan said, were angry that he'd joined the armed group in the first place. "When I got to the capital and I found out that my family didn't want me, I had no other option than going again back into the armed group because I needed some food," he said. Now he and Ouakabo are part of a UNICEF program that teaches them life skills and helps them reintegrate into society. Ouakabo, who is now in school, said she's hoping to specialize in computer science. "When I'm done studying computers, I want to go and work with UNICEF," she said. "Because it's UNICEF that got me out of this." The organization requested $59 million to support its programs in the Central African Republic in 2019, but has so far received less than half that amount — about $27.8 million. The money is used to fund, among other things, a product called Plumpy'nut, a nutritionally-enhanced peanut butter that supplies a full day's worth of nutrition. Unlike previous iterations of emergency nourishment used in countries facing famine, Plumpy'nut doesn't have to be refrigerated or prepared with clean water, which is often unavailable in a place like the Central African Republic. All a parent has to do is rip open the packet and ease the nutrient-rich paste into a child's mouth. "It takes about three weeks but literally that one packet can mean the difference between life and death," Stern, the UNICEF USA chief executive, said. Plumpy'nut is among the most crucial items at the Bangui Paediatric Centre and at the makeshift refugee camps that have sprouted up around the country. One of them, near the northern town of Kaga-Bandoro, formed within hours when villagers fleeing violence congregated around the region's lone air strip. The location was not chosen by accident; they hoped the U.N. peacekeepers guarding the airstrip would also keep them safe. A woman living at the camp said she was at a market when militia fighters laid siege to her village, forcing her to flee without warning. "We couldn't take anything," the woman said. "Only our clothes." At the pediatric hospital, nurses first tried to stimulate Vincent's appetite by feeding him sugar water. After three days, Vincent started to sit up on his own. He was finally ready to try Plumpy'nut. The little packet did its job. Vincent was soon well enough to be discharged. But since then, he has been re-admitted to the pediatric hospital at least once, continuing a cycle of despair that aid groups worry will only worsen for the Central African Republic's children. "Where is the world?" Stern asked, her voice rising with indignation. "How are we letting this happen?" 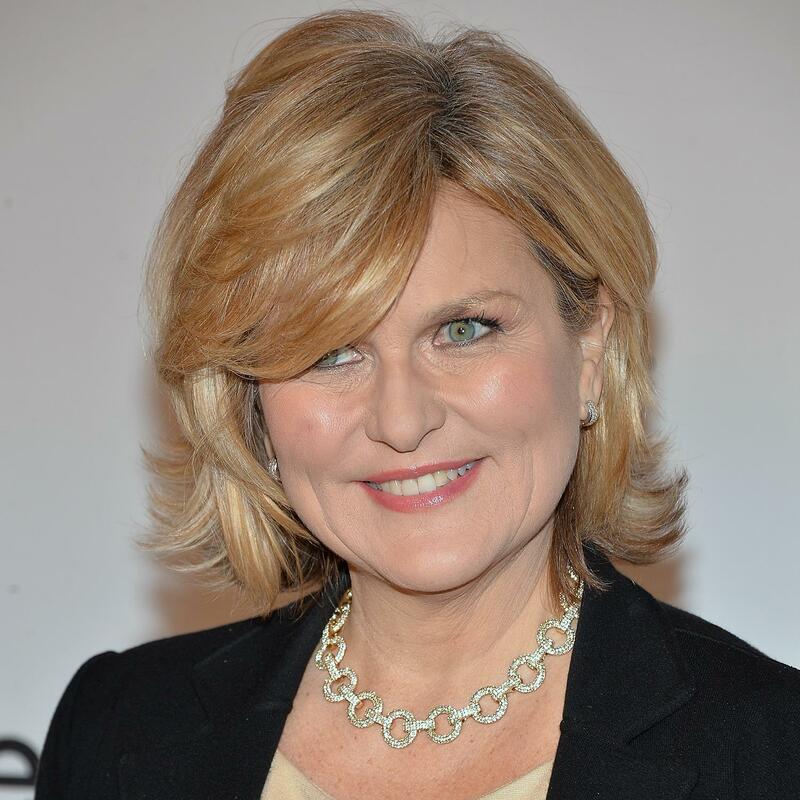 Christine Romo is a senior enterprise producer at NBC News.